Royal Oak Limousine Inc. has been helping guests celebrate their special events in style since 1997, offering Hummer limo rentals for a variety of occasions. Our immaculately clean limos and experienced drivers are here to help you make the most of your birthday, wedding, Quinceañera, anniversary or another special event. Contact us today for booking and rates. If you’re going to be celebrating a special occasion, planning every detail is important. Be sure not to forget about the most important detail: transportation! Being able to rely on a limo rental in Houston, TX to get you and your guests to and from a celebration is the easiest way to make sure the energy stays high and the group stays safe. No matter what you’re celebrating or where the party takes you, count on Royal Oak Limousine Inc. to be your personal chauffer. We’ll make sure you get to your destination on time, safely and ready to keep celebrating! Our fleet of vehicles is equipped for general limo rentals, Hummer limo rentals and party bus rental in Houston, TX. Whether we’re driving your 15-year old daughter and her friends to a Quinceañera celebration or we’re taking your new spouse and the entire bridal party to a destination for a photo shoot, trust that we’ll arrive on-time and with the right vehicle. Our expert drivers have unrivaled knowledge of Houston’s many destinations and can get you to wherever you want to go quickly. Treat yourself and those special to you with a limo ride from Royal Oak Limousine Inc. today! We’ll take care of the logistics so you can focus on what matters. Our chauffeurs are experienced drivers with immaculate records and deep familiarity with local area routes and destinations. We pride ourselves on exceptional service above all else. We want you to have the best time when you’re in one of our vehicles. Each of our limos is exceptionally well-maintained and completely clean. We take the utmost care of our fleet. We’re ready to be your personal chauffer for any special occasion, including for Quinceañeras, weddings and other celebrations. We’ve been in the business for more than 20 years, taking pride in our spectacular reputation. 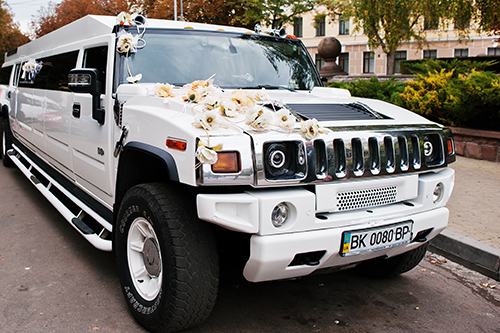 Whether it’s your birthday or your wedding day, treat yourself to a stylish ride in a Hummer limo! Our chauffeurs will get you to your destination, so you can celebrate the occasion!